Paperless banking and an improved member experience have arrived at the newly renovated Bridgeton Branch. During the renovation, the entire lobby area was updated with a fresh and streamlined appearance, and interior Personal Teller Machines (PTMs) were installed, replacing the smaller remote teller screens. Members have been using our drive-up PTMs at this branch since October and we’ve received great feedback. While Bridgeton members are the first to experience working with our personal tellers and seeing our fresh look, other branches will also see updates in the coming months. We’re excited about the new enhancements to the way members interact with our tellers and financial coaches. What are you going to love about the new experience? 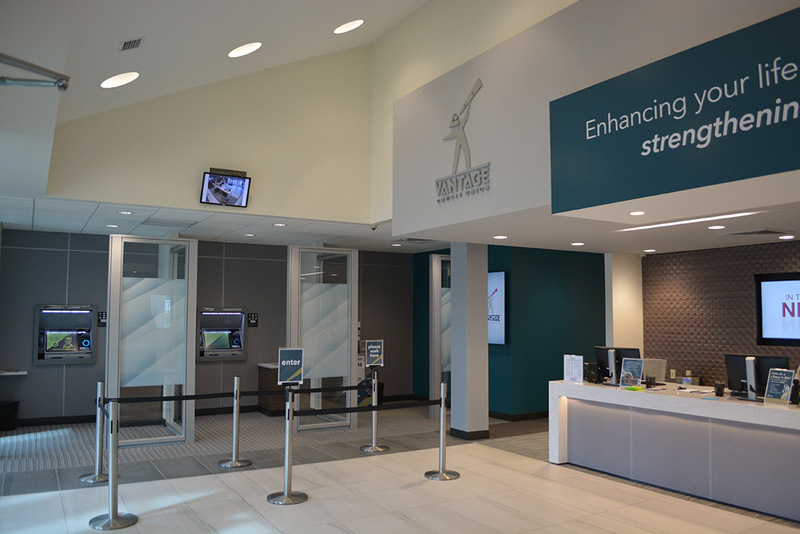 To assist with the transition to PTMs, Vantage associates are on hand in the sleek and modern lobby to offer guidance and help members get acquainted with this new way of banking. And as always, our financial coaches are available with the same personal service you’ve come to expect to help with any lending and account management needs. Stop by and see all the improvements, and keep an eye out for continued upgrades at other Vantage branch locations.